Bolton Cancer Voices, the Choir established for cancer patients and cancer survivors, is seeking a talented rehearsal pianist. The Choir is directed by Clive Rushworth, a well-known and popular Musical Director who has worked extensively with Choirs and Amateur Operatic Groups. Having worked single-handed for the first six-months Clive is keen to see a rehearsal pianist recruited to support him in taking the Choir to the next level. aside from their illness; offering an informal forum for cancer patients and cancer survivors to meet with others in a similar situation and benefit from mutual support and understanding. The Choir aspires to be a source of inspiration for those whose lives are touched by cancer. The Choir, who don’t charge membership fees, are hoping someone will come forward to offer their services free of charge. 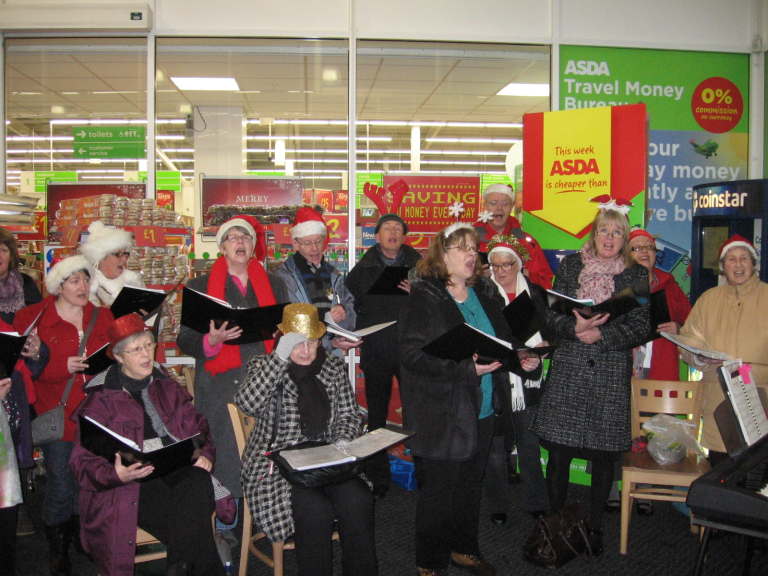 Membership of the Choir currently stands at 27 but they are hoping to attract a substantial number of new members during 2013 to take their number to a roof-raising 70. Karen Elliott, Chair of Bolton Cancer Voices said: ‘The Choir has got off to a fantastic start and we now want to keep the momentum going. The Choir rehearses at The Friend’s Meeting House, Silverwell Street in Bolton town centre, on Monday evenings, 7.30-9pm. If you are interested in the role of rehearsal pianist or finding out more about membership of the Choir, please contact Karen Elliott – 01204 595562 / 07773 164235.